Ahoy Cap'n! 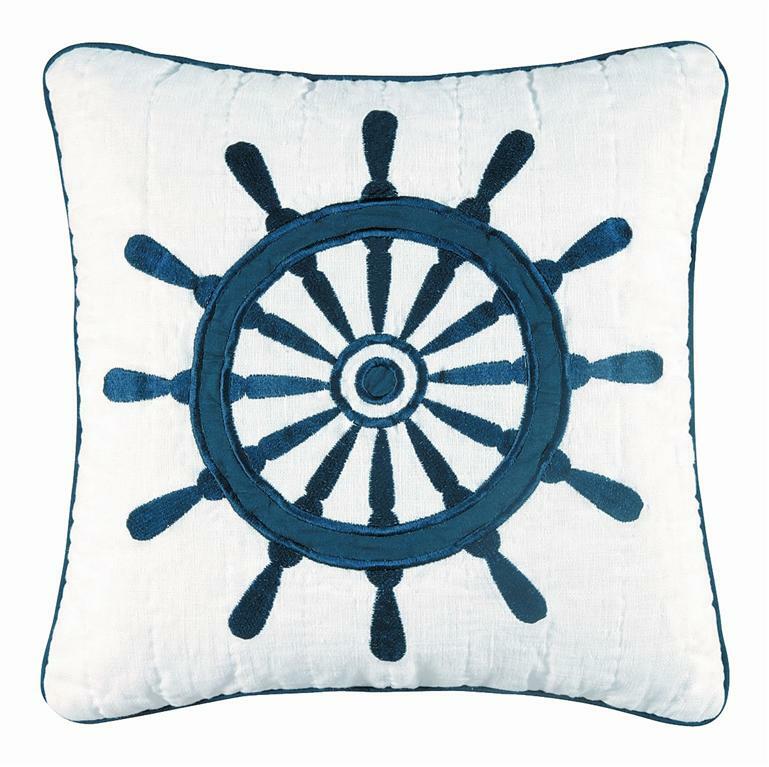 This natical pillow features a navy blue ship's wheel on a white cotton background, and trimmed with a corded edge. 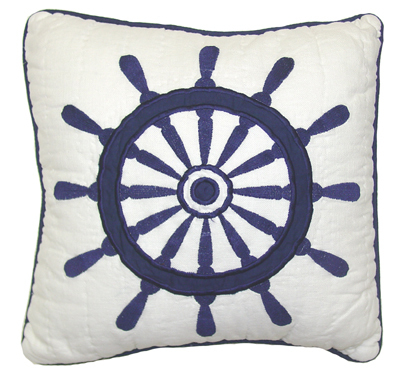 The wheel is intricately machine stitched in navy thread to provide dimension (not a stencil). Reverses to an all-over white. 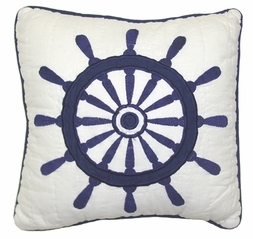 Great pillow for a bed, sofa, or your favorite easy chair.